A recent study has revealed huge losses occurring to Indian firms due to cyber-attacks. With the country tagged as one of the fastest growing economies in the world, the IT security scenario could be the major party spoiler. New Delhi (Sputnik): A recent study confirms that Indian companies are incurring heavy losses due to cyber attacks. The survey commissioned by tech giant Microsoft has presented a scary picture of the IT security ecosystem in the country while experts say that though the problem is pertinent, the solution is within the reach for India domestically. 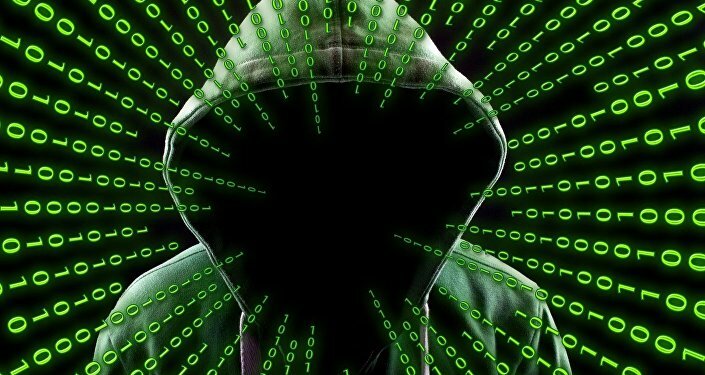 "A large organization in India incurs an economic loss of $10.3 million on average from cyber attacks whereas a mid-sized organization takes an average hit of $11,000," says a study conducted by global consulting firm Frost & Sullivan. The study was commissioned by global IT leader Microsoft. The study also revealed that cybersecurity attacks led to job losses in around 64% of the organizations which were part of the survey. The findings could ring an alarm bell for the Indian economy as it could be a major speed breaker for this south Asian country. The Indian economy grew at the rate of 8.2 percent in the April-June quarter of 2018-19 on the strong performance of the manufacturing and agriculture sectors as per the government released data. It increased its lead over China to remain the world's fastest growing major economy in the second quarter of this financial year. The study titled ‘Understanding the Cybersecurity Threat Landscape in Asia Pacific: Securing the Modern Enterprise in a Digital World', was meant to provide business and IT decision makers with insights on the economic cost of cybersecurity breaches, said the Frost and Sullivan report. "As companies embrace the opportunities presented by cloud and mobile computing to connect with customers and optimize operations, they take on new risks," said Keshav Dhakad, group head & assistant general counsel, corporate, external & legal affairs, Microsoft India to media responding to the study. Companies face the risk of significant financial loss, damage to customer satisfaction and market reputation as is evident from high-profile breaches this year, he added. IT experts in India claim that the cybersecurity infrastructure in India can be locally beefed up if there is an enhanced system of encouraging young talents. "The report I find could be more or less on the mark. The situation is fast becoming risky to manage the IT assets in India but the solution is within reach as there are young Indian minds who are pioneers in the field but are not encouraged domestically to nurture their talents. Some of the top heads in global IT companies are Indians but India failed to tap the talents. A change in the domestic system to enhance local talents can make a lot of difference in the scenario," Adil Hussain, Chief Technical Officer of an IT company told Sputnik. The study has also said that more than 92% of organizations in India had either adopted or were looking to adopt an artificial intelligence-based approach towards boosting cybersecurity.